Today, the first Intensive Course „Pre-Med“ this year ends. All participants have successfully completed the pre-med course in our Iberian College International in Alicante, Spain. For the next days some admission exams are planned, in which they can prove their just learned knowledge and get a university place right away. During this third and last week of the course, physics was learned, together with the ICI lecturer Günther Menz. He is a well-known lecturer, who teaches at the ICI since 2014.Günther Menz is a lecturer for math and physics for 35 years now and earned his PhD as a director of studies in 1996. He studies these two subjects at the renowned Ludwig Maximilian University in Munich. Besides participating in the pre-med course, some of the students also took the chance to learn some Spanish in one the ICI Spanish courses, which we always offer alongside the intensive course. 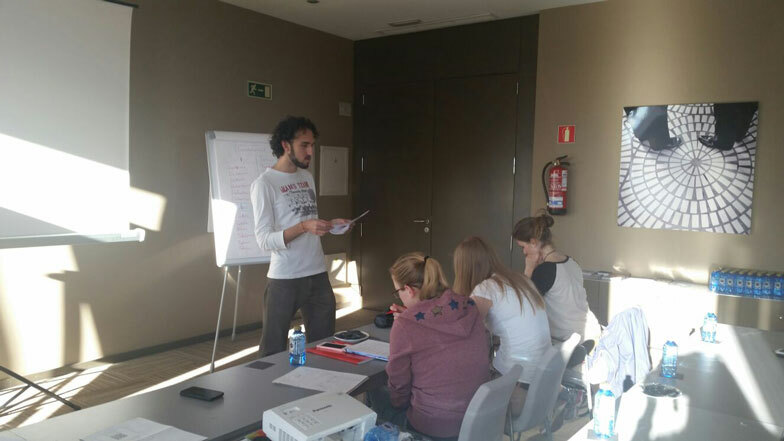 Together with lecturer Carlos Manuel Asensio the students refreshed their rusty Spanish knowledge or even started Spanish as a new foreign language. We are happy that all 30 participants were able to complete the course successfully and beyond that, were very interested in the Spanish course and are now very well prepared for the admission exams, that the participants will take right after the course, who did not get accepted to a university yet. As soon as July the next Intensive Course “Pre-Med” will start (July 11th to July 28th) and we still have some free places! So do not hesitate and start now, because as always the number of participants is limited. 0 responses on "Intensive Course „Pre-Med“ Comes to a Successful End After 3 Weeks"